Looking for a mobile home park, mobile home community, manufactured home community, multi family housing? 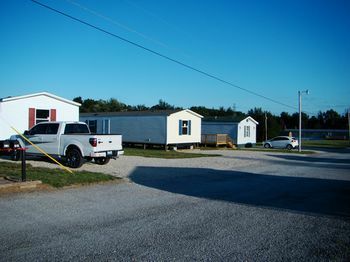 MHBay.com has 8 mobile home parks near Brandenburg. NEW AND NEWER HOMES AND LOTS AVAILABLE.ALL PARK OWNED HOMES HAVE STORAGE BUILDINGS AND LARGE DECKS WITH THEM.COUNTRY SETTING.CLOSE TO LOUSIVILLE,RADCLIFF AND FT. KNOX AND MEADE COUNTY.. We also offer houses for rent in the same area.